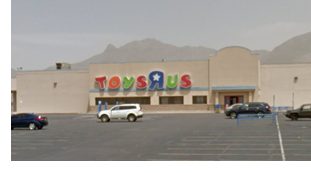 ​​ ​EL PASO – The former Toys ‘R’ Us building at 801 S. Mesa Hills will be transformed into an indoor trampoline/recreation and entertainment center. Urban Air Adventure Park will take over the 50,000-sf building. Locations offer activities such as an indoor roller coaster, indoor sky-diving, go-karts, and mini-golf.